Looking to make apple pie this year? Here’s a healthy option to try! 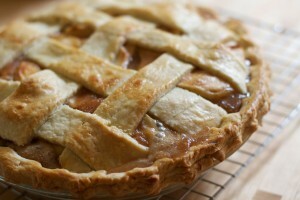 Mary Marren made her first vlog (video blog) which is a step by step video of how to make a healthy apple pie. Check it out below, this is a blog you won’t want to miss! Are you drinking sports drinks for the right reasons? Unless you are exercising intensely for over sixty minutes, sports drinks are nothing that you should be consuming. Exercising for less than sixty minutes doesn’t deplete our carbohydrate or electrolyte storages enough to require supplements such as Gatorade or Powerade. Instead simply drinking water will be plenty good for you. The amount of calories, sugars, carbs and sodium in sports drinks are very high. 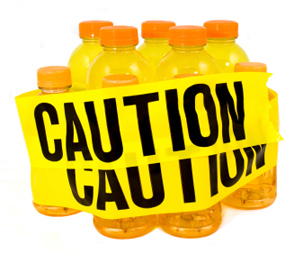 People assume that since Gatorade is a “sports drink” that it is healthy for you. In reality putting this amount of unneeded sugars and everything else in your body can be the exact opposite of what you want after a light to medium workout. There has been research done that proves that these sports drinks are as unhealthy as soda! Calories, sugars and sodium are all three big things that most of us could afford to cut back on as it is and drinking water rather than sports drinks is a very good way to do so. The average American consumes almost double the amount of sodium that is recommended for daily consumption. There are more watered down forms of Gatorade (G2) and Powerade (Powerade Zero) that are much healthier for you if you need a sports drink, but are looking for a healthier option.